Dara Calleary TD being awarded Retail Advocate of the Year 2019 at the recent 21st Retail Excellence Awards. Photo: Robbie Reynolds. 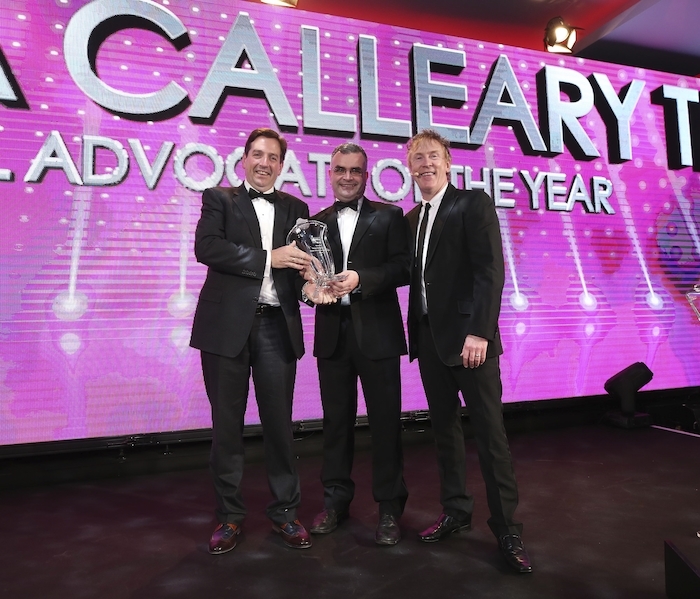 Fianna Fáil Deputy Leader Dara Calleary was named Retail Advocate of the Year 2019 on the night, for his work supporting the industry as chair of the Oireachtas Cross Party Group on Retail. Retail Excellence, the largest Retail representative body in Ireland, announced the winners at their annual Awards held in the Great Southern Hotel, Killarney on Saturday November 10, which was attended by more than 500 Irish retail industry executives.